Last month, Carmelita Aragon and I visited the Lordsburg-Hidalgo Library in the southwest corner of the state. 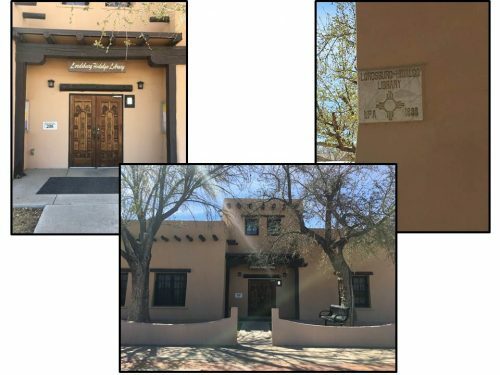 The building is an old WPA (Works Progress Administration) adobe building, built in 1936. The building has a lot of wonderful architectural components: large archways, wooden beam ceilings, thick walls and beautiful chandeliers. There’s a lot of artwork on their walls and they day we were there they received a new lithograph to display. 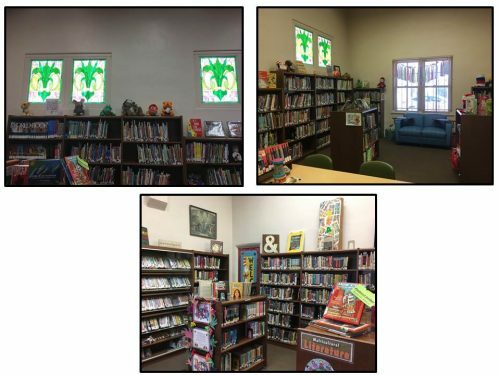 The library director, Alice Webb, has plans for a permanent makerspace to replace a seldom-used nook in the library. The children’s room is a bright, airy space with fun, stained glass windows and a lot for kids to see and utilize. 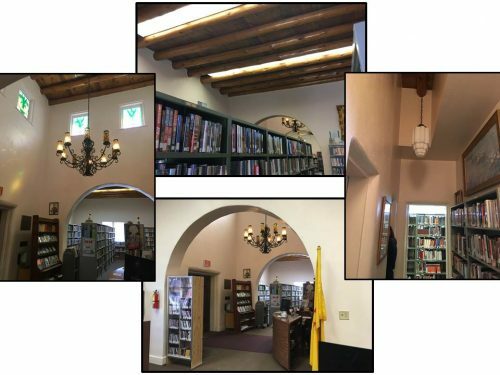 If you’re ever in the far, southwest corner of New Mexico make sure to stop in and check out this great library and say hello to the staff- many of whom have been there for many, many years!